Spider veins and varicose veins can make you think twice before showing off your skin. We take a look at the treatment options available. These thread veins are less than 3mm in diameter and usually appear on the face and legs. They sometimes take on a web-like pattern, hence the name. Small spider veins on the face and neck are usually red while the larger spider veins found in the legs appear blue. The veins themselves are translucent; the colour comes from the blood within them. While they are not usually harmful, they can become quite unsightly. Genetics, hormonal factors, obesity, skin trauma and standing for long periods of time are all risk factors. Despite popular belief, crossing your legs, wearing high heels and hot baths do not increase the risk of developing these veins. There are many topical ointments and supplements that promise much but deliver little when it comes to treating spider veins. Fortunately, there are options that offer a permanent solution. ND:Yag Laser or IPL (Intense Pulsed Light) is very effective for treating spider veins on the face and neck, while a technique called sclerotherapy is best for larger spider veins and varicose veins in the legs. This involves injecting a sclerosant into the veins via small needles. The sclerosant irritates the walls of the veins causing them to stick together, preventing the flow of blood through the vein. Varicose veins are larger than 3mm in diameter and are raised above the surface of the skin. They are usually caused by broken valves in the veins of the legs that cause blood to pool in the legs rather than flow back up to the heart. As the pressure in the veins increases they begin to dilate and bulge. The varicose veins that are visible on the surface of the skin are branches of dysfunctional major superficial leg veins. Varicose veins can cause swelling, pain, itching and aching. More serious symptoms include skin pigmentation, severe pain, skin ulcers, eczema and chronic inflammation. Risk factors include genetics, standing or sitting for long periods of time, pregnancy, hormonal factors, obesity and advanced age. Radio Frequency Ablation (RFA) is a form of technology for treating varicose veins that does not require hospitalisation or downtime. It involves placing a small catheter (thin, flexible tube) into the vein and delivering a controlled amount of heat energy to destroy the inner lining of the vein. Depending on the size of the veins and the flow in the deep venous system, they can be removed with either LASER, medical injections known as sclerotherapy, or by surgical removal. Each technique has its own advantages and potential complications and should be discussed in detail with your doctor. 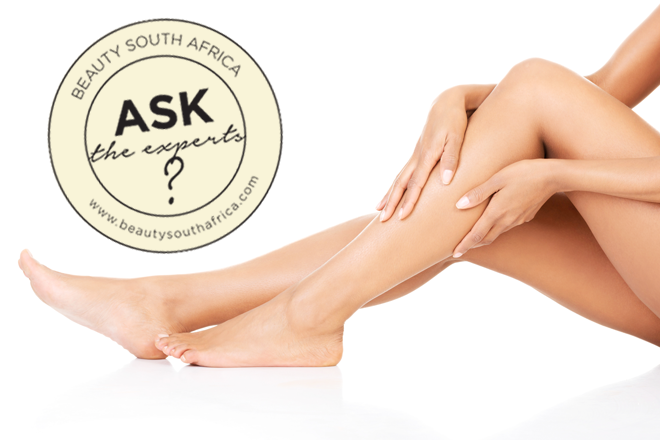 Contact your dermatologist or a clinic like Skin and Health Renewal that specialises in the removal of veins for further information about treatment options. My mom and dad has varicose veins. How can a person prevent it though? Interesting article. My mom never had varicose veins so I’m hopeful that I won’t either. I do however have friends with this problem, so I will be able to pass on this information. Wow.. Never really knew what causes them cause I have the worst on my thighs.. Now I know it’s treatable.. This article is a real eye opener. Never knew that Varicose veins is caused by genetics. I have a few dark veins in my legs just above my calves. It’s not painful or anything just anoying! I understand the topic better now . My dad suffers from this and I too have a problem on my left leg . Great to know our options! thanks a lot,my aunt has a problem with the veins,I think i might have found something that will help her treat them. I have an aunt that suffers from vericose veins , will definitely be sharing this info with her. I’m starting to develop these although I have an office job.